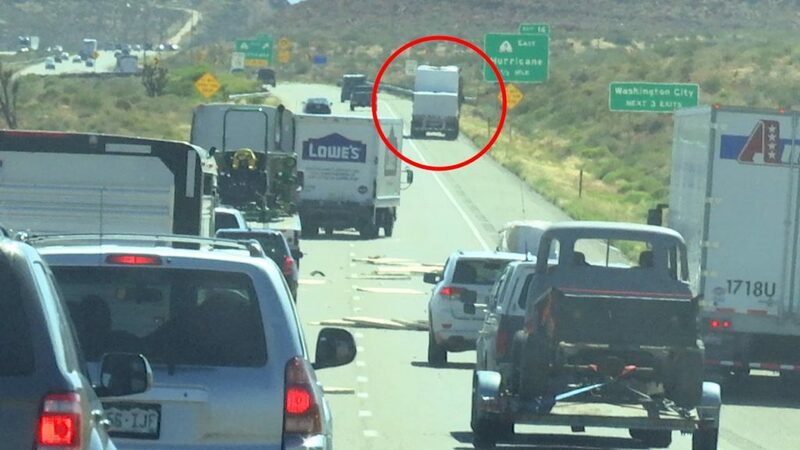 Washington County — Drivers were in for a surprise Wednesday afternoon after foam sheeting was blown out of the back of a flatbed semitrailer on Interstate 15 due to high winds – littering all southbound lanes of the Interstate and stopping traffic. 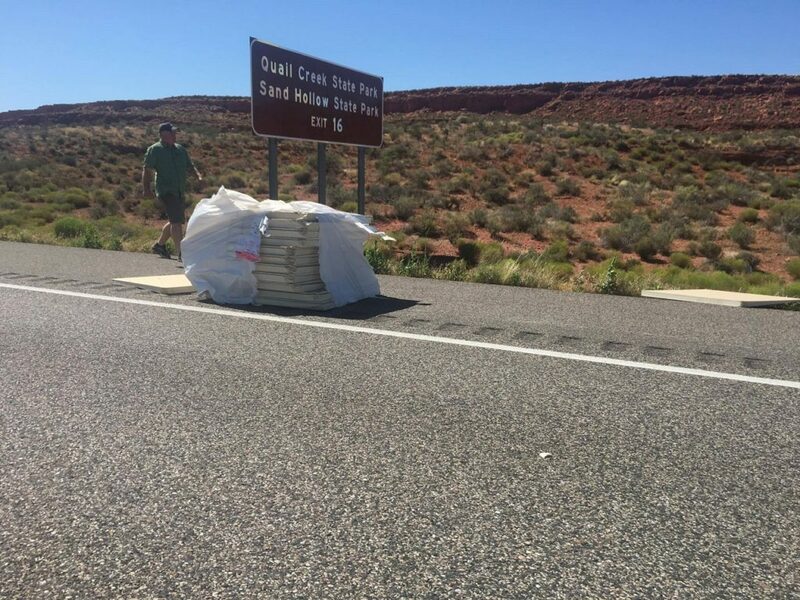 Just after 4:30 p.m. officers were dispatched to a report of a flatbed semitrailer losing its load onto I-15 near Exit 16 Wednesday afternoon, Utah Highway Patrol Trooper Seth Spencer said. A wind advisory was published just hours before the incident warning drivers to be careful. “Wind speeds are expected to be 20-30 mph, with gusts up to 50 mph, which may include crosswinds on area highways that motorists are urged to be mindful of,” the National Weather Service cautioned. 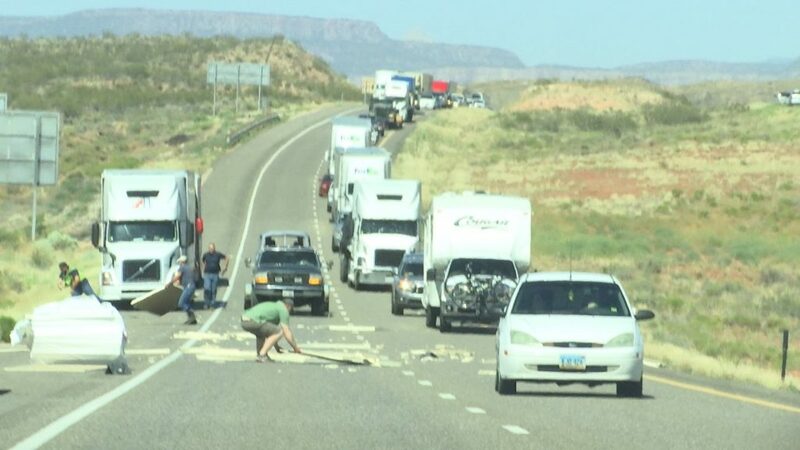 Traffic in all southbound lanes showed to a halt before being redirected to the number 1 lane to allow the driver and other motorists to clear the material, St. George News videographer Austin Peck said. Peck, on his way back from taping another story, was able to capture the incident through pictures just minutes after it happened. 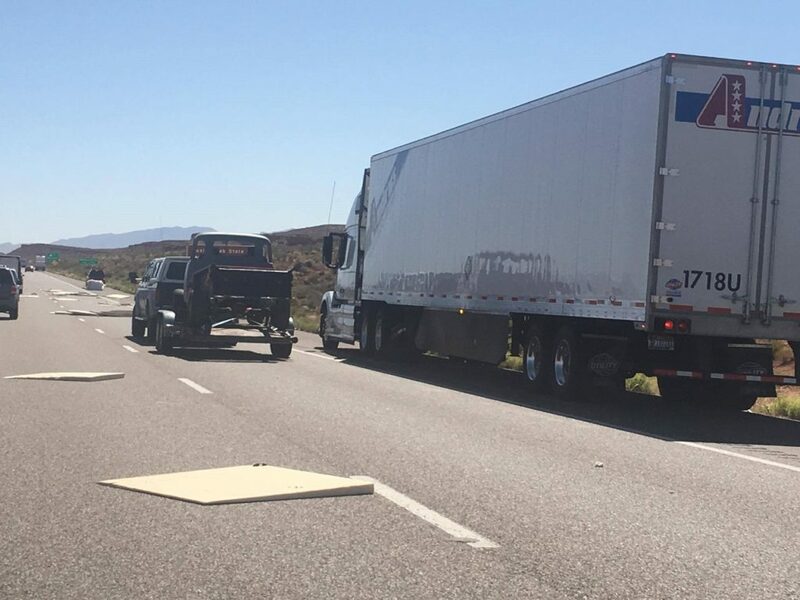 No injuries or accidents were reported, and traffic lanes were cleared for travel once the debris was moved to the shoulder of the freeway. Debris was already moved when the trooper arrived. 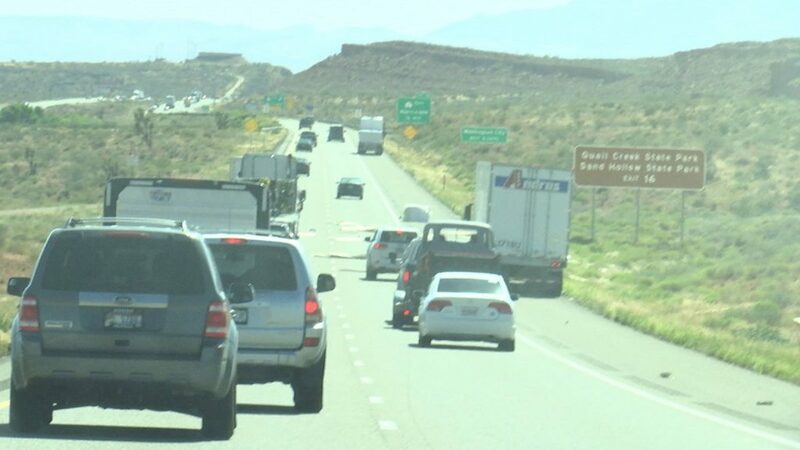 St. George News reporter Hollie Reina and St. George News videographer Austin Peck contributed to this report. another ingenious comment from our dear Dumpster.